The police said the survivors of the fire failed to inform the police as soon as it broke out. 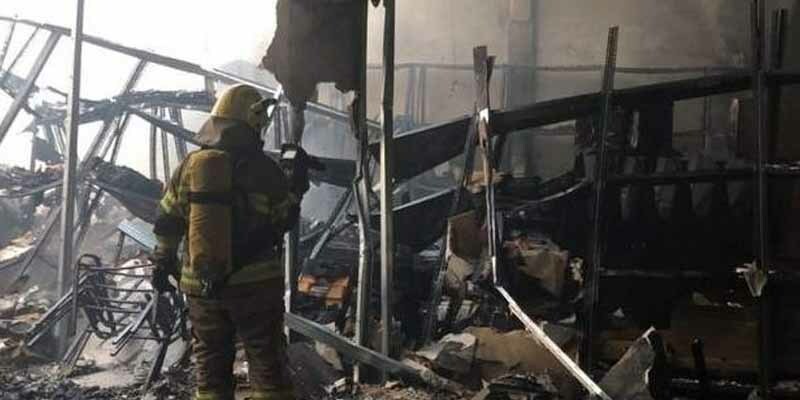 Six Pakistani men, including four of a family, were killed after a fire broke out in a villa in Al Ain’s Zakher area, the police said on Sunday. The tragedy was reported at 5.53am on Friday. The police said the survivors of the fire failed to inform the police as soon as it broke out, causing it to spread rapidly. Two men at the scene tried to put out the blaze on their own, but failed to do so. A lone survivor of the tragedy, Mohammed Raheem, 50, who was visiting the family from Dubai, told Khaleej Times that he escaped by smashing open the aluminium roof of a bathroom. “I tried to pull Omer out, but he fell unconscious after suffocating due to the smoke,” said Raheem, who works as a driver. Omer’s close friend, Nasir Kabir Khan, said he was with Omer till the “early hours of Friday” and dropped him home. “We said salam without knowing that was our last goodbye,” said Khan, who went to school with Omer. “It was a shocking sight when I reached the house. It was completely charred. I rushed to Al Ain Hospital only to realise that my friend was no more. Doctors told us he died of suffocation, while Khurram’s body was charred beyond recognition,” said Khan. According to him, both Omer and Khurram were working at a furniture store and got married just six months ago back in Pakistan. “Omer worked in the Al Ain branch of the store, while Khurram was in Ajman. He was visiting his father during the weekend.” said Khan. Farouq’s other four children and wife went back to Pakistan a few years ago.